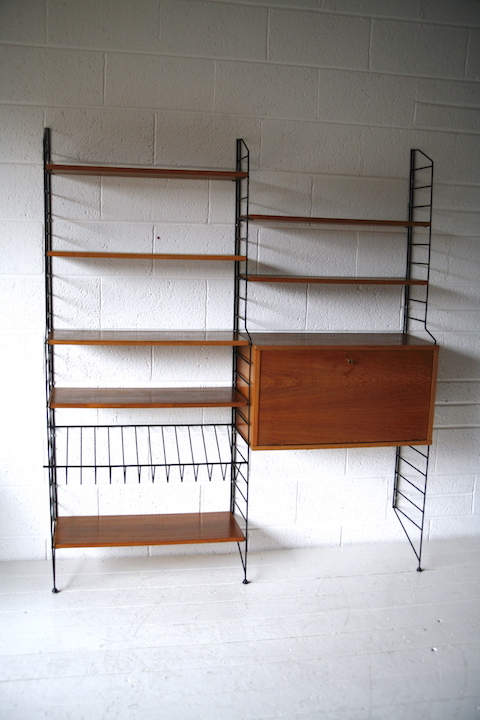 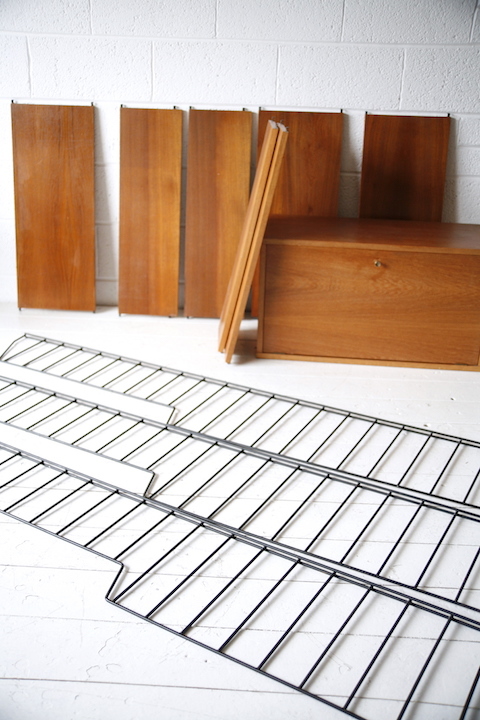 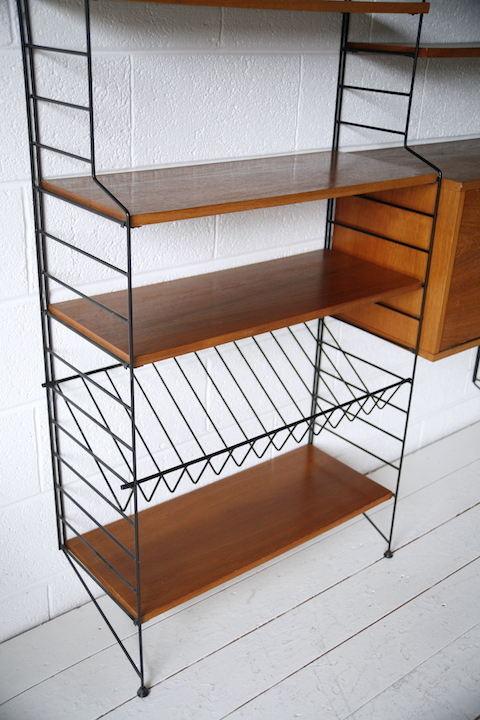 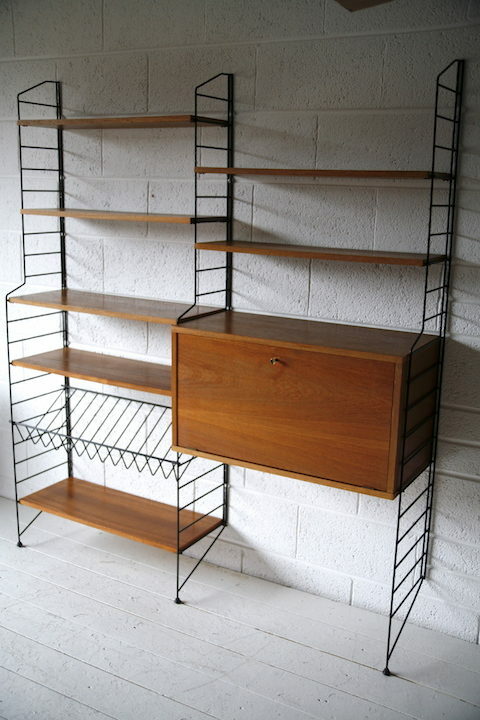 A lovely 1960s shelving unit by Brianco UK. 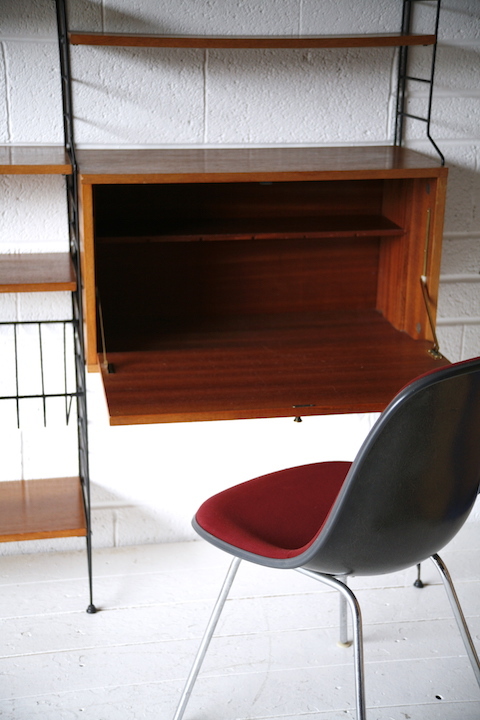 Consisting of a bureau / desk, magazine rack, 7 shelves and 3 black steel uprights. 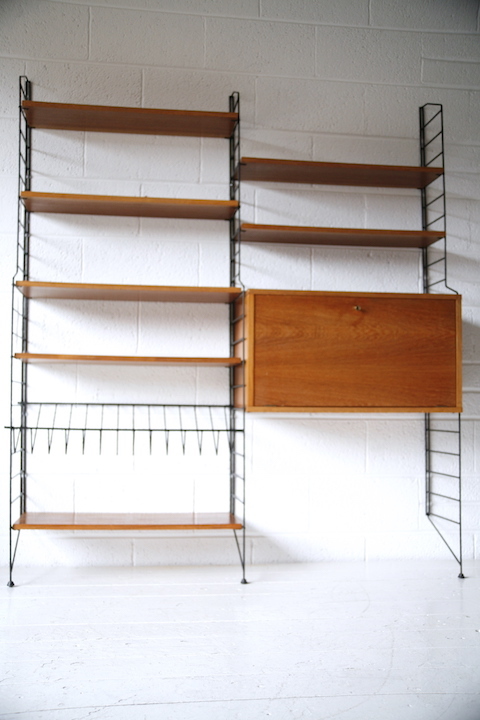 In very good vintage condition with some age related wear.